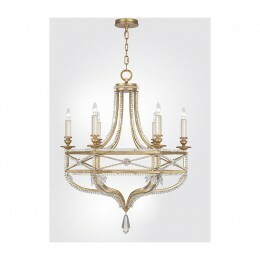 Chandelier with bold lines traced delicately by fine cut crystal beads in Brandenburg gold leaf finish. 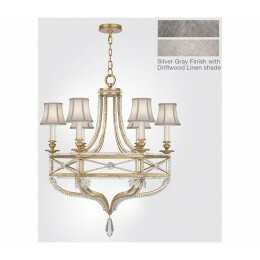 Also available in weathered Prussian silver gray #858040-12ST. 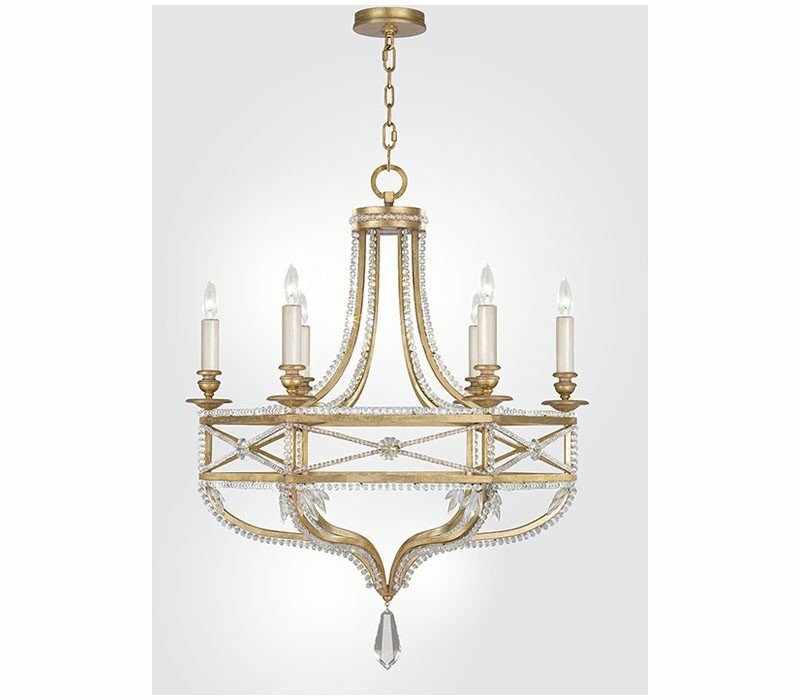 The Fine Art Lamps 858040-22 Prussian Neoclassic collection Chandelier Lighting in Brandenburg Gold Leaf uses Incandescent light output and brings Antique style. This item is 37.5"H x 29"W. The total wattage is 360 and the voltage is 120 volts. 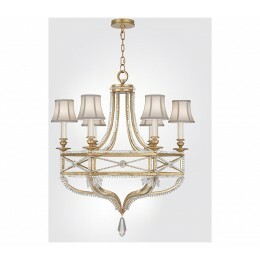 The Fine Art Lamps 858040-22 requires 6 bulbs (not included). Additional Information: Shade-Fine Cut Crystal Beads.